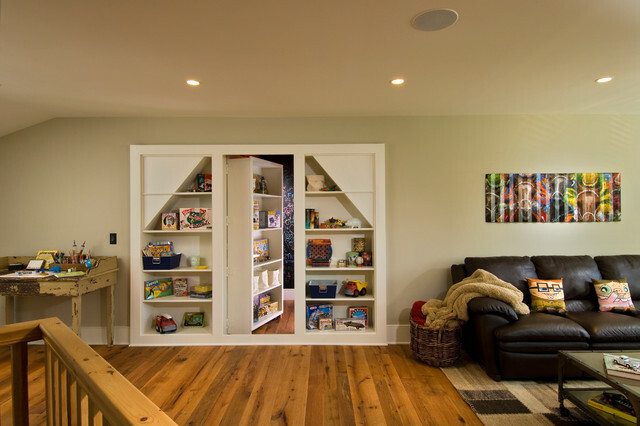 What child wouldn’t love a secret room to play in? Scratch that. What human being wouldn’t love a secret room to play in? 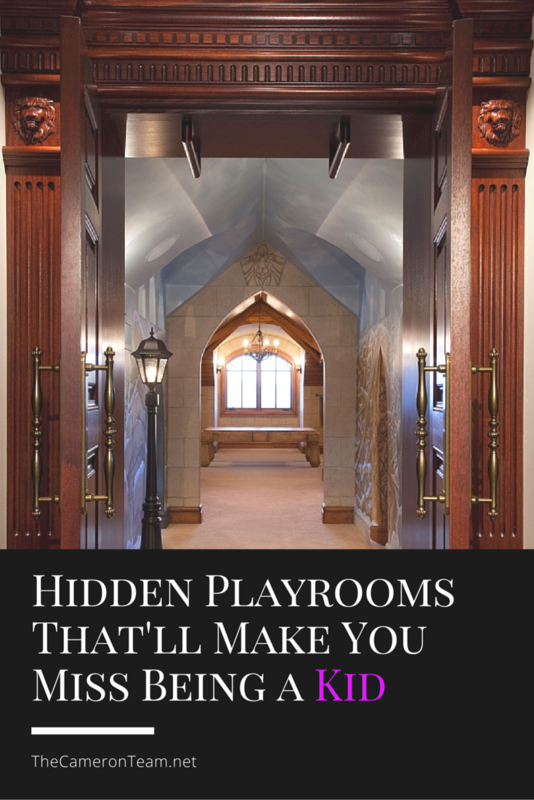 There are numerous examples of secret rooms online, but we decided to compile a list of our favorite hidden playrooms for kids. Fans of C.S. Lewis’s The Chronicles of Narnia will absolutely love this “hidden” room. Disguised on the outside by what looks like a wardrobe, visitors open the doors to a room decorated in the theme of Narnia. This version of the doors to Narnia was created in part by Magleby Construction, but there have been other versions created by some very cool parents. Sometimes the best playroom is your sibling’s, which is what makes this doorway so cool. It’s passage between two bedrooms belonging to children. It looks like a normal attic door on the outside, but a look inside shows otherwise. This was part of a custom home by Platt Builders, which you can see on their website. If you’re looking for a fun way to sneak a hidden playroom in your next remodel or custom home but aren’t sure you have the wall space, consider going up instead. That’s what Upland Development did with this girl’s room in Riverton. They built a hidden loft above a set of built-in bunkbeds. The result was a cozy, magical loft. View the bedroom and loft on their website. 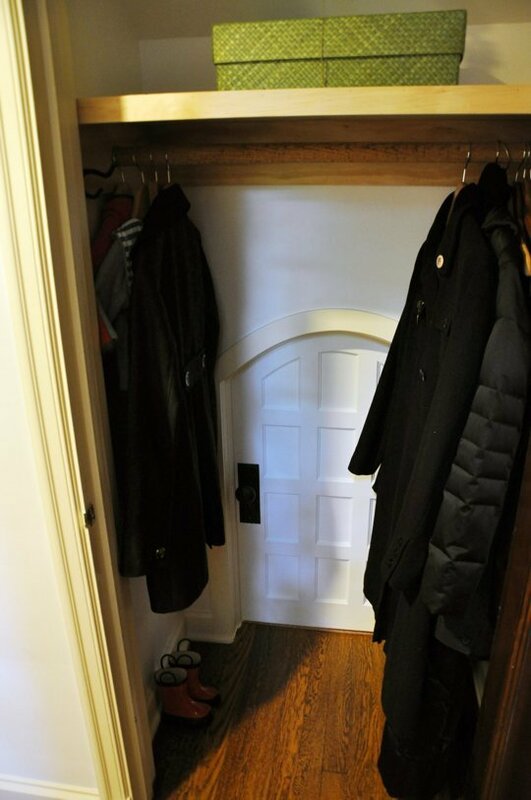 A couple in Ohio decided to take advantage of the extra space in their staircase coat closet and create a child-size room for their kids. Apartment Therapy shared the results, which includes a mini-door in the closet. How cute is that? The article has pictures of the kids enjoying the interior. Hiding a room behind a bookcase is a classic move, but awesome all the same. 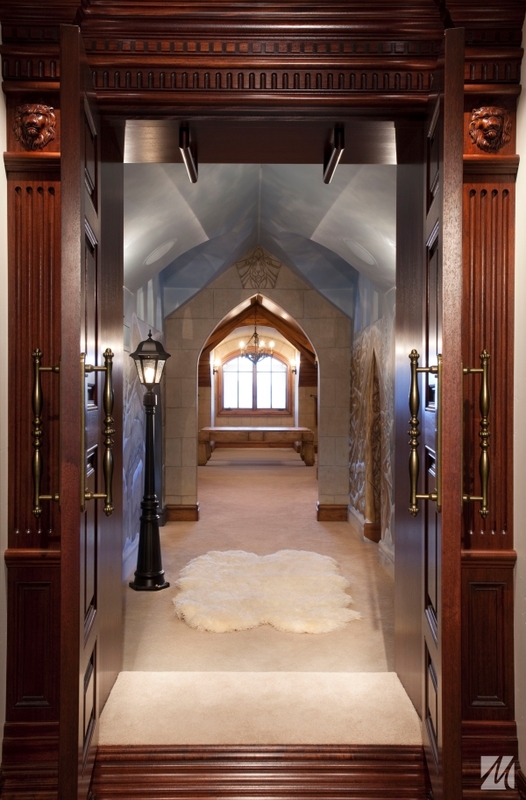 Witt Builders created a secret room off of the family room in one of their custom homes in New York. Inside is a fun chalkboard wall and room to hangout. You can see it and the whole house on their website. When Sarah Goer and her husband discovered that their 2 year-old’s bedroom had a deep attic storage space, they decided to push a dresser in front of it and close it off, so he couldn’t get to it. He was too young to have access to the insulation and peeling linoleum floor. 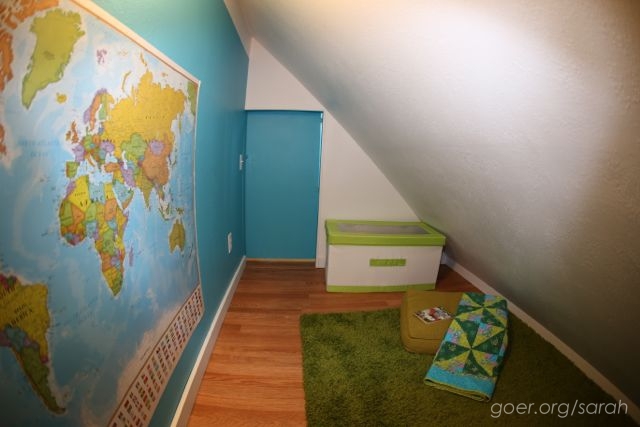 But in secret, they finished off the space and made it into a room that their child would eventually use as a playroom. On his 4th birthday, they revealed the “secret treasure room”. You can see the whole thing on i09. 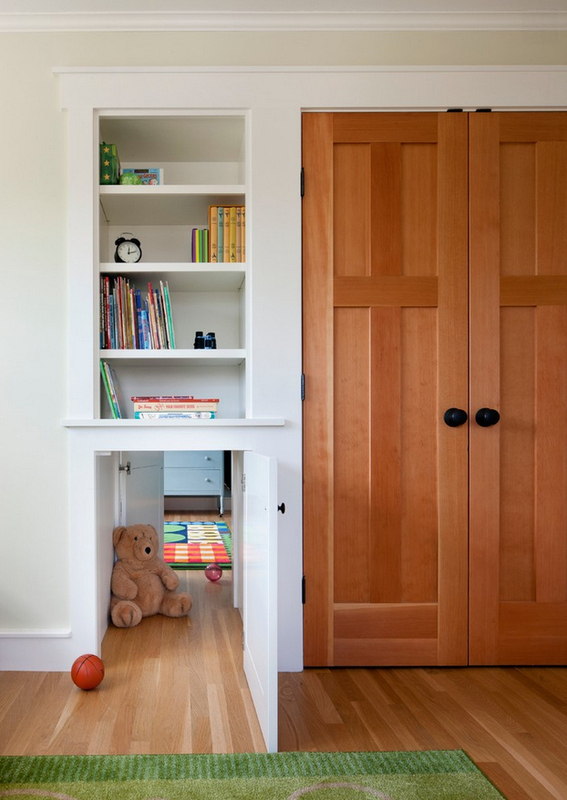 Have a favorite hidden playroom of your own? Share it in the comments!